The FAQ section of our website is more than the usual set of “FAQs for dummies”. We hope that it has value for you and acts as your first point of contact with Greece. 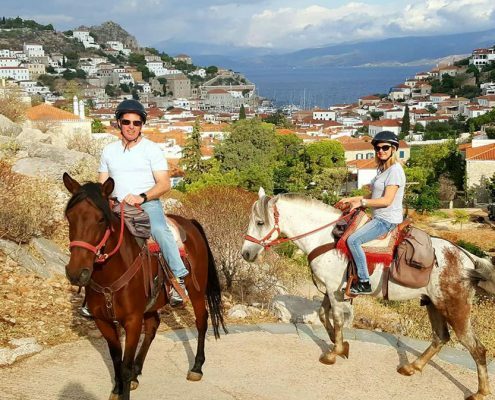 The aim of these FAQs is that you take advantage of your visit to Greece and create a great itinerary avoiding the tourist traps and more importantly, “experiencing” the best this country has to offer. We never wear black or at least not all the time like most tour agencies ask their guides/drivers to do. We want to be not to look professional. Our cars are not black either. Most agencies have black cars to make customers feel they get the luxurious treatment. Our service to you matters most to us and we like to be clean, well dressed, even in a pair of shorts if too hot (Greece… summer?) so we meet the locals wherever we go looking just like you to do. We are a small but very flexible private tour agency even with last minute situations. We don’t look at the clock and we don’t count money. 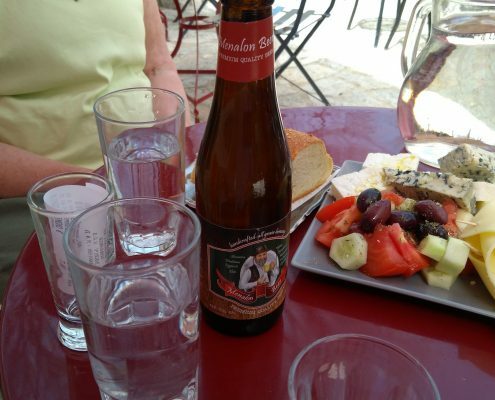 Lunch (traditional Greek “meze”) is always included (so … no commission based stops for your lunch!) and you can have your extra drinks or snacks too as long as you are considerate and logical. Even half day tours or simple transfers will include some snacks, bottled water or homemade cookies! No touristy stops unless you ask us too. The driver/guide will stop for a minute or two if he/she feels a rest is needed. None of us will wait at the airport or hotel to pick you up holding up a sign with the name of our tour agency or your name! You will have a photo & name of the person meeting you and you can also tell us a bit about yourselves, if you don’t want to send a photo. We don’t like mechanical faceless methods but more human and personal ones. Hope u r ok with our way attitude & we also hope to see u soon and let you have a “taste” of real Greece wthout the formalities but just the professionalism, the politeness and hospitality! 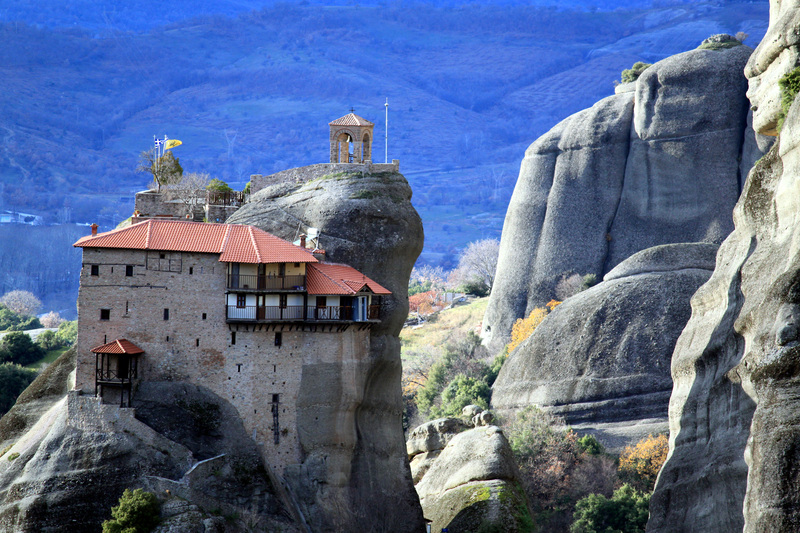 Visit Meteora, if you have the time to do the trip to central Greece! It’s worth it. Probably the best site in Greece of Acropolis & the Parthenon!!! Food! Food! Food! Mediterranean food is very; but Greek food is better! Go 4 the rose wine! but not bottled; ask 4 the house wine! At least once, do Greek coffee in a proper place and way! Acropolis with the crowds! Then, the next best thing, that most people don’t do, is ancient Messene, NOT ancient Mycenae! Ouzo, ice, water, authentic snack around 12:00 noon! and at the right place! 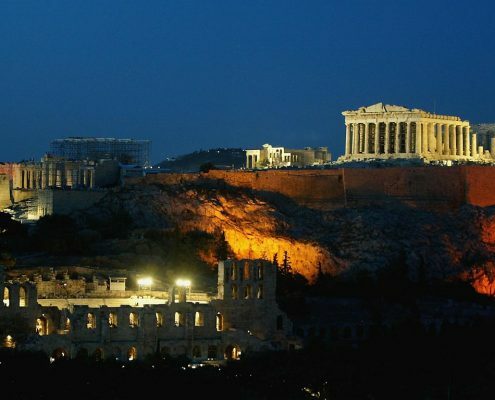 Acropolis at night time! We’ll show you how to. Swimming from May to end of September. Grilled octopus (with Ouzo) but at places where the know how to make it non rubbery. Why a private tour and not a tour with a bus? 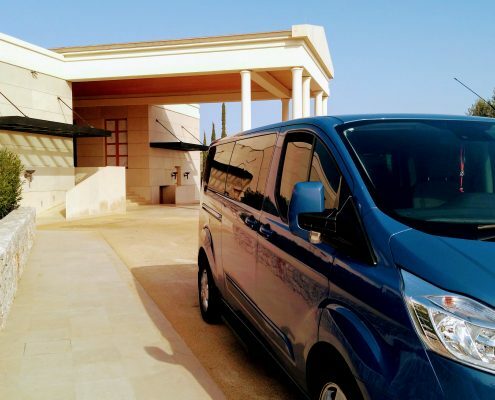 A non private coach – mini bus tour costs less (but often not a lot) but you definetely get less basically due to unavoidable limitations due to delays, crowds and flexibility. Our driver/guides are very knowledgeable and provide lots of extras that are not possible with group tours. 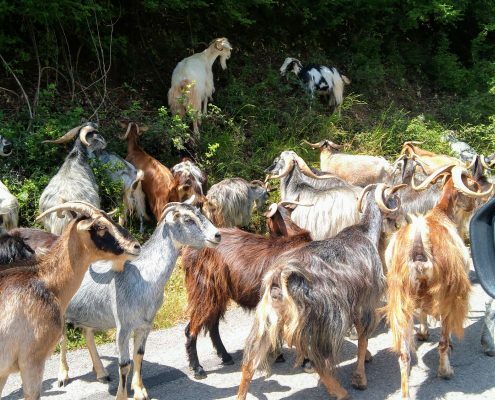 Private tours are for those that … don’t want to get herded around on a bus with the masses! Why with EUDAIMONIA and not another tour agency? Please, read our reviews carefully both in this website and facebook page. We are really giving ourselves to the tours and more importantly we enjoy them too. We know our way around and make sure you get to see & feel all these things that most people miss out on. We are really private tour agency. We get you to meet the locals too. Our tours are not faceless & mechanical. You can rely on us even for issues of your holiday that are not part of our tours. Don’t, spend all your time in Athens traveling to areas or sites out of the city, going back and forth. Don’t “waste” a week in overrated Santorini or Mykonos, just because they are the trendy thing to do! Don’t drink Ouzo without ice and a snack. Don’t eat “continental” food while in Greece! So mercy and eat … Greek! Don’t drink imported beers! Ask for the house wine! Don’t queue & buy your Acropolis tickets at Acropolis. 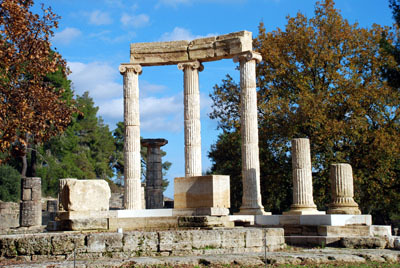 Buy the 30 EUR package ticket from another site (like the Temple of Zeus). Don’t be afraid to socialize and be cool. Don’t be a tourist! Don’t be afraid to explore and do the non touristy things. Don’t eat dinner late; like the Greeks do. Don’t do only the “ruins”. There is more to do and see while in this country! 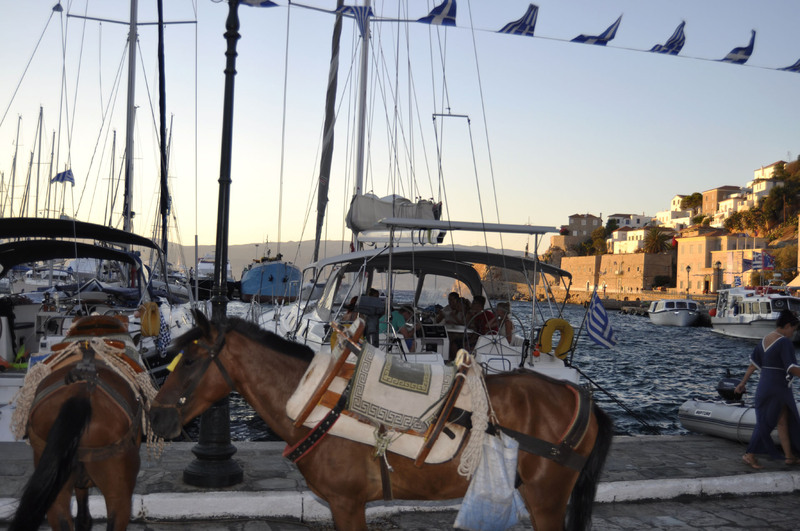 Don’t miss the hospitality and authenticity of Greece. Look for it! What if we are more than 3 or 4 people? Would it still be private? As long as you are all part of the same party which means friends or family, we will still arrange your private tour (up to 8 people). If you aren’t, it won’t be a “private tour” which is not fair for you. If you are more than 8 people we can’t help you because our tours are planned and organized for small groups of related people. Please contact us and let us know your details and we get back to you asap. 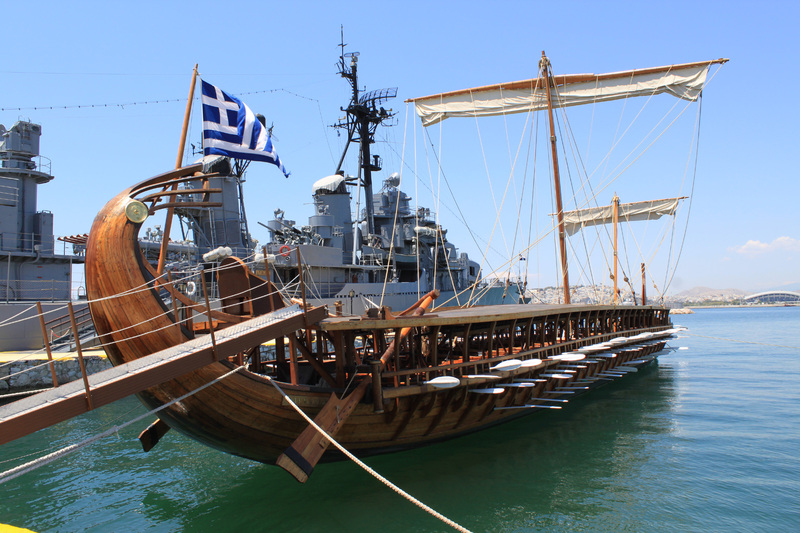 The "Ugly truth" about Ouzo! The most famous Greek drink is the Ouzo, although it is no more common to Greeks than wine or beer or Tsipouro (the next most common local drink). 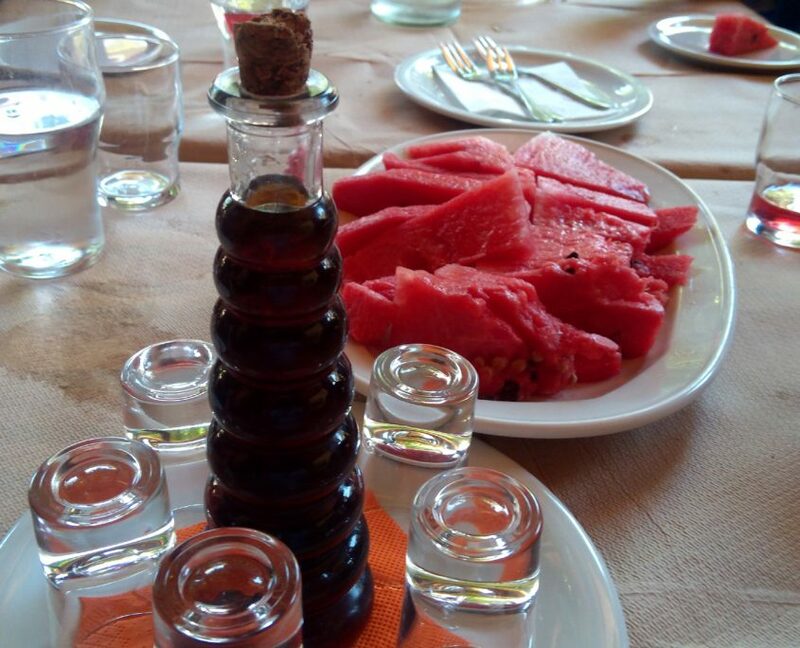 So… the wrong way, that many touristy places will serve Ouzo, is neat and after food. The Ouzo is a 11:00-13:00 drink (obviously on holidays or weekends) with a snack and some more details that you can discover if you take a tour with us! Ouzo is not about the drink and its liquorice taste. It’s about food! friends! location! and socializing! How to create the perfect itinerary? Of course this depends on may things like available days, budget, what you like, etc. But here are some tips for you. Choose a good base (hotel) in Athens so that you have easy access to the sites which are mostly within easy reach on foot or using the tube. 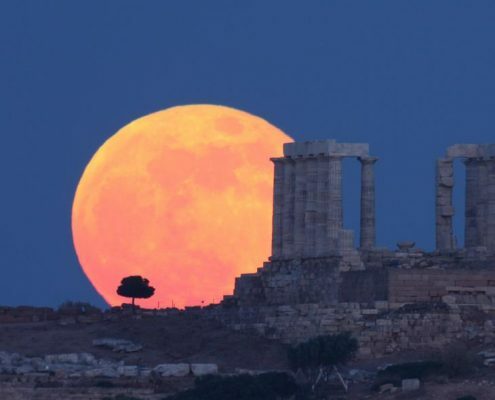 If you are not a person that spends a lot of time in every site, a 3 day stay in Athens will be sufficient. If you like to stay & explore more, there are always the hidden gems that will make you feel less of a tourist and more of a local. 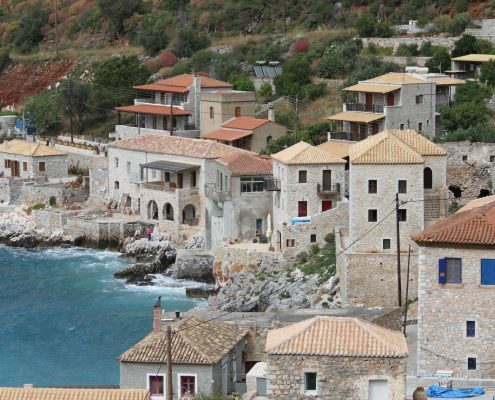 Try to base some of your days in a region like Peloponnese which is close to Athens/airport (2 hours) and will cover all your needs: archeological sites, beautiful towns, islands, beaches & swimming, mountains, landscape, old monasteries, gorges, wineries, and of cource great non-touristy food! Islands? It does not have to be Mykonos, Santorini, Crete, Rhodes, etc. 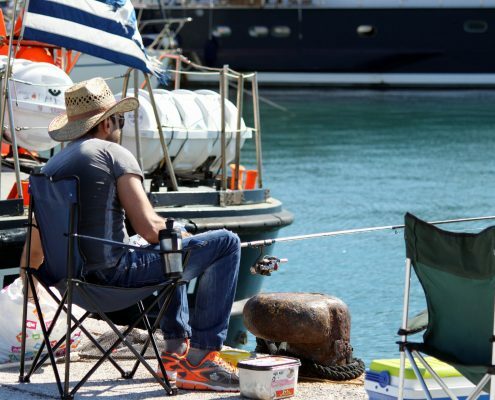 Don’t get the boat, it takes ages and you waste your holiday time. If you do want to visit the distant islands get the plane. 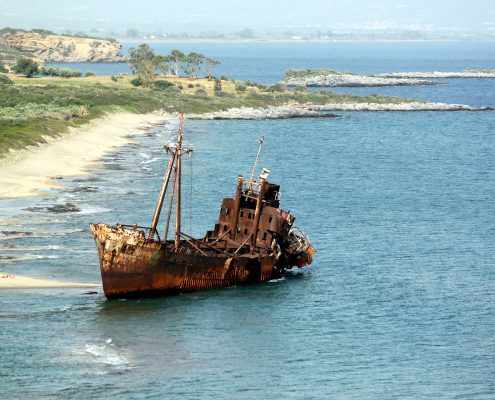 Visit islands without wasting time in the Saronic gulf (south of Athens). 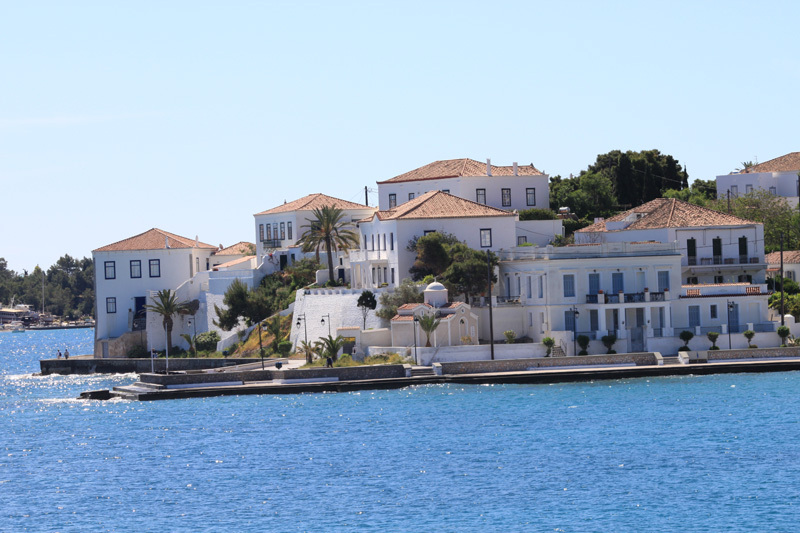 They are great islands and some of them (Hydra & Spetses) are very cosmopolitan and amazing! Just a couple of hours away. Go for off season holidays. Avoid mid July to end of August to avoid the crowds & the bad service. Unless you have done your homework really well and know where to go even at high season and still enjoy the magic of Greece. If you need help to plan your trip, we will try our best to help you out. Should we make our own arrangements for travel insurance? We highly recommend that all our passengers look into purchasing a travel insurance as you never know what might happen to interrupt your travel plans or even your return home/work. Your travel insurance can cover important expenses like hotel costs, medical bills, and of course flights. Should things go wrong you can end up with a very expensive holiday instead of a great holiday. 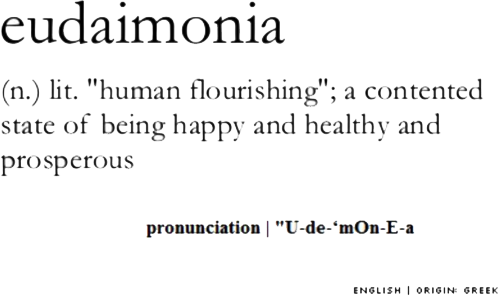 What is the meaning/definition of EUDAIMONIA (our brand)? Greek: εὐδαιμονία [eu̯dai̯mo’níaː]), sometimes anglicized as eudaemonia or eudemonia /juːdᵻˈmoʊniə/, is a Greek word commonly translated as happiness or welfare; however, “human flourishing” has been proposed as a more accurate translation. That bursting feeling in your chest when you travel. When it all feels right. The constant change in travel often puts our senses in overdrive and the highs are higher than ever. Mid July to end of August is high-high season but if you know how, it can be great too. Some areas, and without missing anything of what Greece has to offer, are just fine to visit at high season. The ideal months are May-June & September-October. The rest of the months are great too and you will be unlucky to visit on the very few days that the weather is rainy or too cold. Most of our tours are better the more off season you visit. Particularly, some of them are great during peak/hot time, since they take you to much cooler places. Why you should visit Greece at least once in your lifetime? 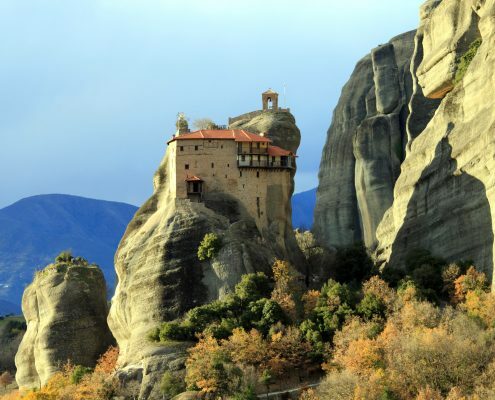 Greece is at the top of the ultimate list of 20 countries you should visit once in your lifetime based on the listings and polls of the popular sites Lonely Planet, Telegraph, Business Insider, Thrillist, and Rough Guides. The historic capital of Greece (i.e. the ever bustling city of Athens) may be the most famous place but there are plenty of other equally fabulous places to visit as well that you will need some extra help to discover and explore anxiety free. This is where Eudaimonia Private Tours comes in to make it happen. If all the above … fails; U need to visit for the food & drink! 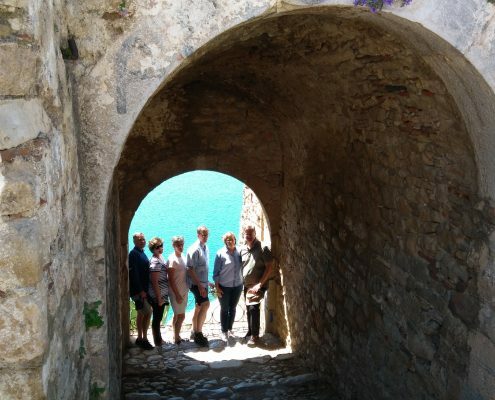 How intense are the walks and activities of our tours? Most of our tours will require at least a moderate level of fitness and are suitable for active people. For example, visiting places like Delphi, Sparta/Mystras, or Mycenae all include some up hill walking. From our experience people of all ages manage with no problems. Some tours involve some extra hiking or add-ons that you can always skip. Feel free to contact us and we would be happy to advise you further as to the suitability of each tour before booking. How flexible are the Eudaimonia tours? We do have set itineraries, but since we are operating only private tours, we are very flexible. At the same time we aim to make the whole experience as unhurried and relaxed as possible. We will often add extra visits or activities which are dependant on the time of the year and weather conditions. Reading out visitors reviews you will discover that some of these extras are free and happen spontaneously, again because we are not dealing with crowds and that allows us to offer the extras easily. Are the departure dates guaranteed? Yes because these are private tours so we don’t need a minimum mumber of passengers to run the tour. Once we have even one person booked on a tour, then the tour is guaranteed. We often run tours with just one person as you can see from the testimonials section of the website. It will have to be a case of “force majeure” to cancel and we don’t have to state at this section what that includes. We have no reason not to run a tour unless there is a real problem. We have never cancelled a tour but on the other hand we have in many cases been very flexible and changed dates and times. What are the minimum and maximum group sizes for any of our tours? The minimum number for our tours is one person and the maximum 7. In all cases the tour is “really private”. This means your group only; large family or group of friends. Are the tours suitable for people with walking disabilities or using a wheelchair? Unfortunately the answer is no. Even the non difficult tours will require walking or hiking up hill and on uneven surfaces or getting into a relatively small boat/ferry, etc. If your situation is not exactly a disability, please feel free to contact us and we would be happy to advise you further as to the suitability of each tour before booking. How intense/difficult are the walks and activities of the tours? We never had issues with people even in their seventies, with extra weight and not a great physical condition. We simply take our time because these are private tours and we are flexible. What is included in the price of each tour? The price and what is included is very clearly stated in each tour description. Generally, in all day or multiday tours (great) lunch is included but not the tickets to any sites to be visited. Quality accommodation is always included in the multiday tours. Professional (licenced) guide is not included but can be arranged. There are optional add-ons which are again shown clearly but without pricing because you need to contact us anyway to arrange them for you. For some of the add-ons, we sometimes need to contact ourselves a local supplier before confirming back to you. Not all add-ons of each product can be included in the available time of a tour, and that changes too, depending on the time of the year and the daylight time available. If you are interested in certain add-ons just contact us and you will get pricing and availability asap. What about our cars & transportation! 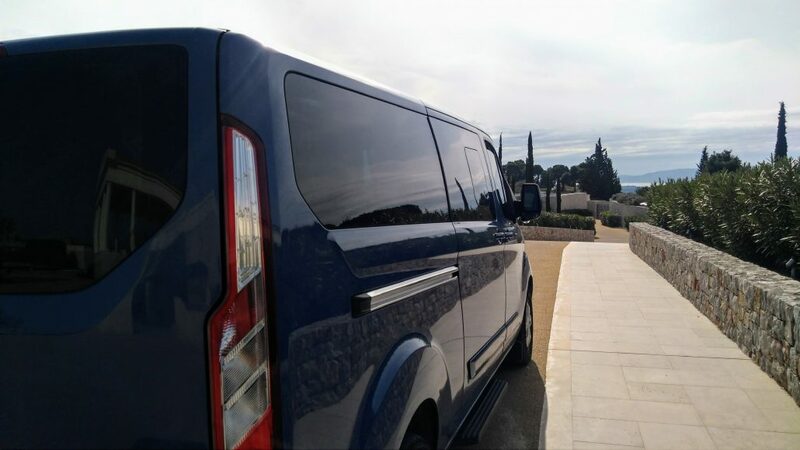 or smaller car for flexibility when touring in busy Athens! 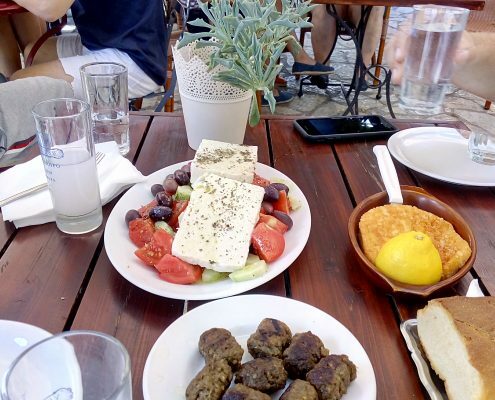 What is exactly the Traditional Lunch (“meze”) that is included in all the day tours? Meze or mezze (/ˈmɛzeɪ/, also spelled mazzeh or mazze) is a selection of small dishes served to accompany alcoholic more often than not drinks. They are small dishes, hot or cold, spicy or savory. They can be seafood dishes such as grilled octopus, along with Greek salad, garlic bread, kalamata or other types of olives, fava beans, fried vegetables, melitzanosalata (eggplant salad), taramosalata, fried crusty cheese called saganaki, and sheep, goat, or cow cheeses. The alcoholic drinks drinks are usually ouzo or tsipouro. Meze can be a very small single dish with a drink before lunch time or a selection of larger dishes which can be the lunch itself. Of course someone can have beer or other soft drinks. What does our "Free Consultation" include? 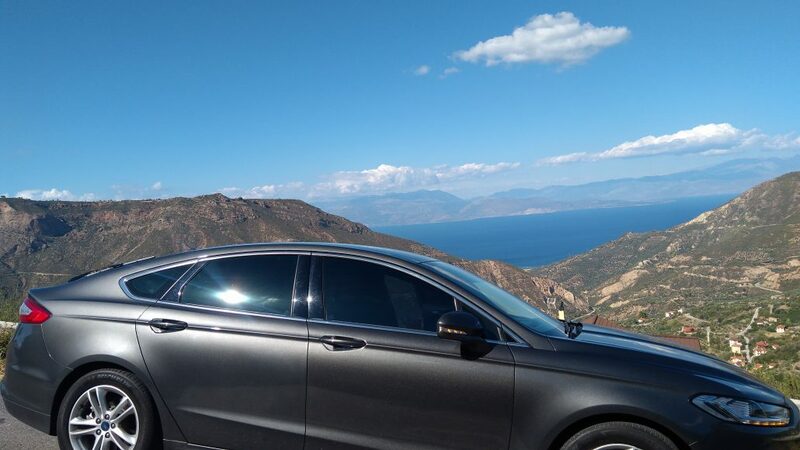 By booking any day or multiday trip and you are arriving at Athens city or Nafplio town, you are untitled to Free Consultation for your holiday. 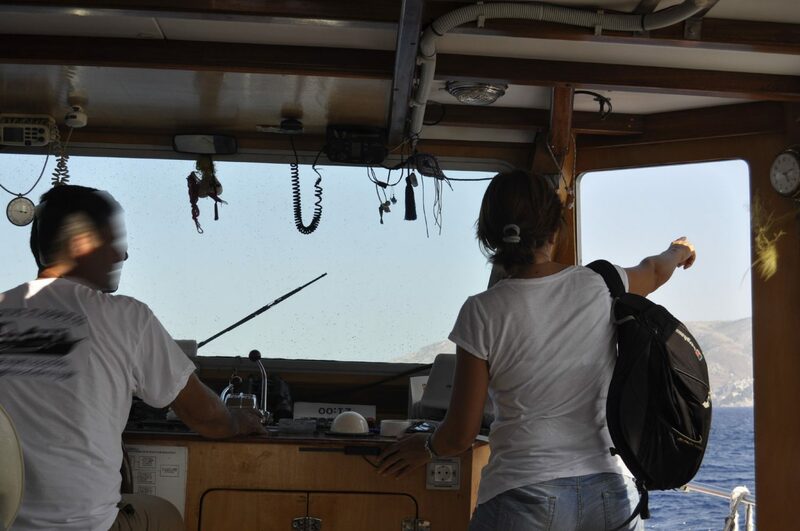 We cannot promise that we will have all the answers and you can aks about traveling to any place in Greece. We can provide some very useful and money saving advise. We will answer all your travel questions and help build your itinerary. Depending on the information you will provide us with, we can help with key tips, advice on scenic routes & hidden gems, etc. We can provide help about where to stay, eat, safety@night, transport, etc. Is Greece a safe place to travel, for solo passengers or women? Greece is the safest popular destination to travel to. However, you are expected to take the obvious/logical precautions as you would for any trip, even in your own country. We have lots of ladies who have travelled with us on their own or with other female friend/s. We can ensure you that after a few Kms drive with us, you will be feeling safe and like a local, while we visit the sites where most of the people think highly about us personally. Is there free time during the tours? The longer the tour the more free time you will have. Some of the tours you self explore too with a local mobile phone in your hands to call us at any time. Even in the shorter tours (day or hapf day), we like to keep them unhurried and relaxed. Are airport or cruise ship transfers included? 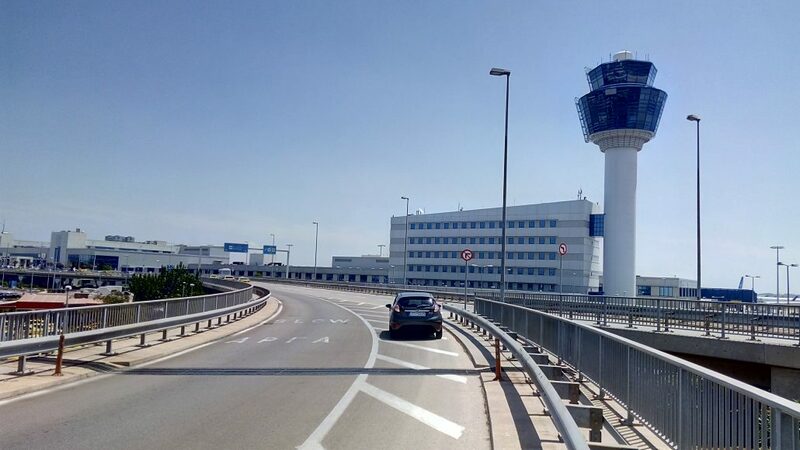 Airport or cruise ship (port)transfers are not included in the price of any tour but you can get a quote from us to any place just by contacting us and giving us your start & end destinations. We also have some special offers that include free transfer too. Yes but of course only for the multiday tours and usually that includes breakfast too. For details check any specific tour you would like to experience. Paypal – Payments made by Paypal, are subject to an additional cost of 3.8% to 4.5% (PayPal Transaction Fee). What type of accommodation should you expect? For accommodation we use local guesthouses or small hotels or stone build traditional village houses but always run by the owners. We aim at spotless places, with all necessary facilities for a short stay, owners that will answer to all your requests with a smile and usually with a welcome drink. We put a great effort to find hospitable and authentic accommodation, instead of large faceless and impersonal hotels. The average age that we get on our tours is 22-65 but we also get people either side of that. Our normal minimum age is around 8 years old. Is there wifi while on the vehicle? Yes. The same goes for most of the places we visit like coffee shops, tavernas, sites, etc. Most of the overnight stops will also have free wi-fi internet available. But you are not in Greece for using wifi while … traveling in a car! A couple of nights (3 days) will be sufficient to see the main sites. 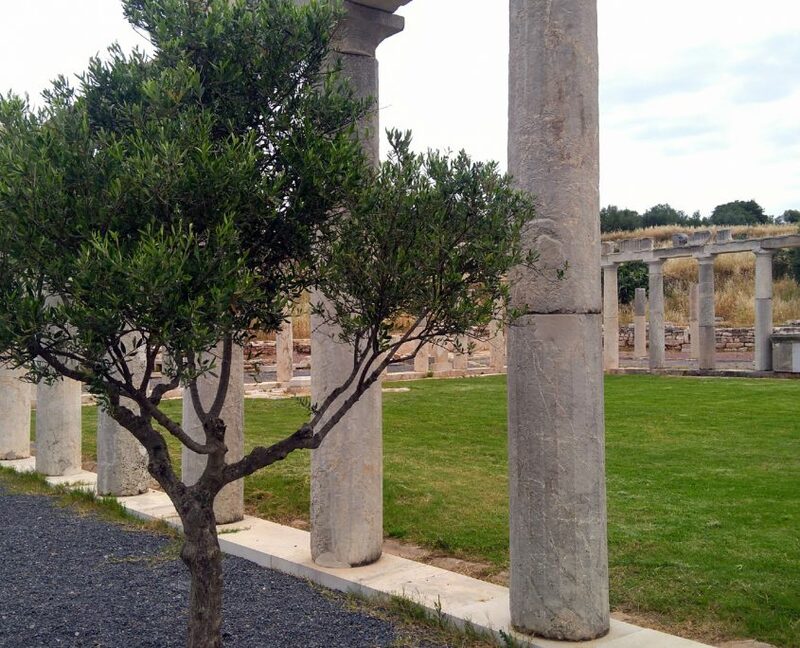 Then, we strongly advise you to visit and overnight out of Athens instead of touring back and forth from Athens! Which island/s should I visit? Those that advise you that “If you go to Greece you must go to Santorini or Mykonos” have … only been to Santorini and/or Mykonos in most cases. There is at least one island that will fit best your specifications of having a great time; just do your research or contact us. Here is a very short list of island suggestions for you to google: Skiathos, Amorgos, Ios, Tinos, Hydra, Donousa, Alonissos, Skopelos, Zakynthos, Mylos. 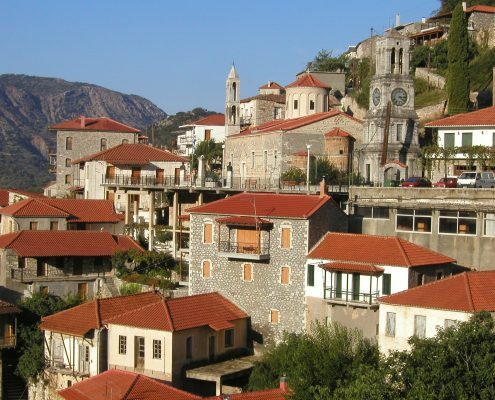 What about the Peloponnese region? Voted by Lonely Planet as the best European destination in 2016. Why? Most of the cultural sites are in the Peloponnese. The coastline is huge and amazing. The food excellent! The mountain villages unknown but you’ll simply miss out if you don’t visit and even stay a night. Very easy access to beautiful first class islands without long flights or ferry rides. 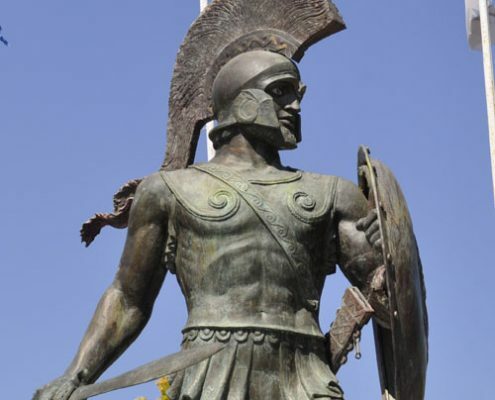 Here is a list of locations to look for and base yourselves: Nafplio town, Hydra island, Ermioni town, Monemvasia, Areopoli, Oitylo, Olympia, Messene, Mystras/Sparta, Epidaurus, Dimitsana/Semnitsa. Enjoy exploring the best! If you don’t find what you are looking for OR if a question arises while reading our FAQs, please … ask us now!